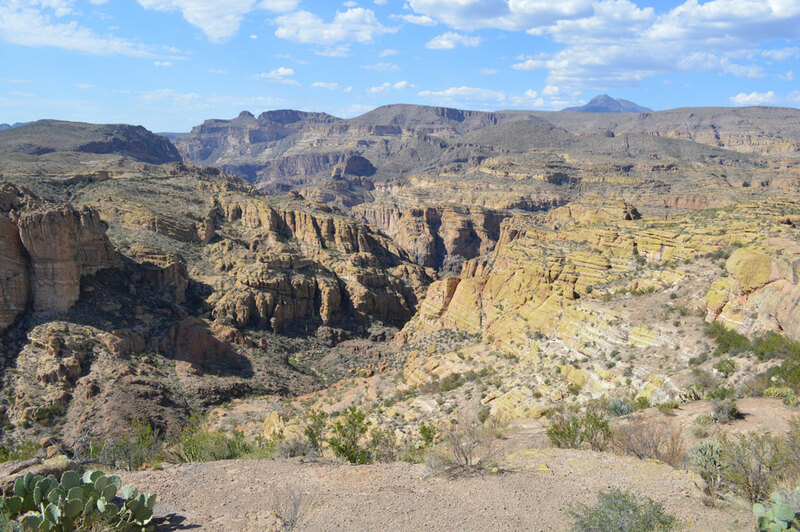 The Apache Trail is part of a 130-mile loop, beginning on the fringes of the metro Phoenix area and meandering into the wide-open spaces of the Superstition Wilderness, a vast and still-hostile environment. 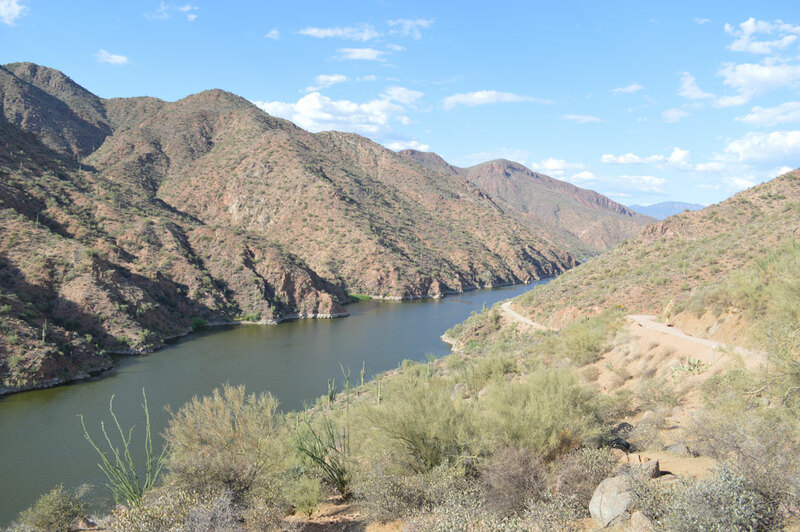 Driving the Trail is a challenging trek, as about 25 miles is on an unpaved road that clings to the desert as it parallels the Salt River. In the summer months, temperatures easily approach 120 degrees, but during the late fall through spring, it is a great way to spend a day harkening back to the early days of the Old West. 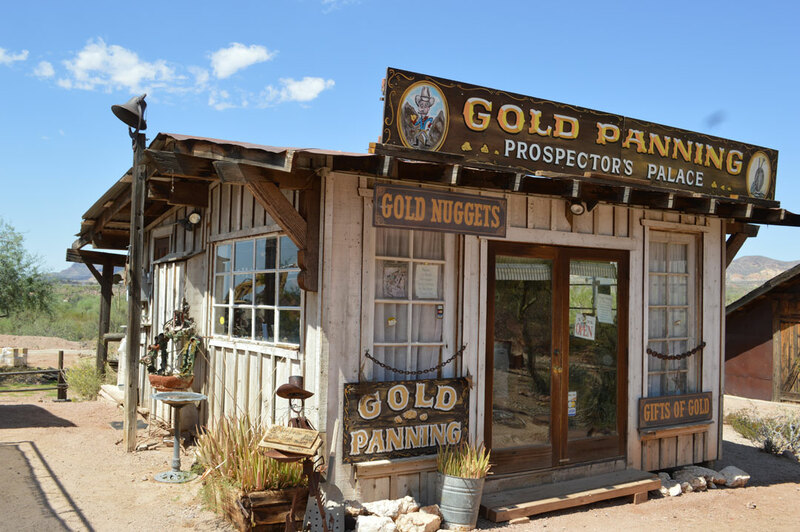 For the savvy traveler interested in anything from gunfights to steamboat rides, the Apache Trail is a living museum. 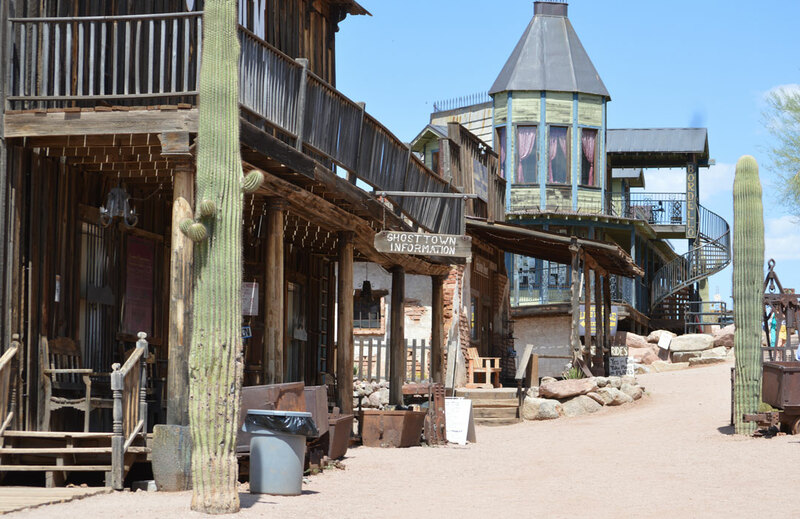 Along the way, visitors are in for a treat with a series of western-themed attractions and the settlement of Tortilla Flat. Beyond Tortilla Flat, the road rises up over a ridge and drops into the desert on a dirt road following the Salt River to its western terminus at Roosevelt Lake. From there, Highway 188 turns south towards Globe, where Highway 60 heads west through the town of Superior and back to the urban landscapes of the Valley of the Sun. The Trail begins at the corner of Apache Trail and N. Apache Trail in Apache Junction, which features a small park at the Trail’s western terminus. 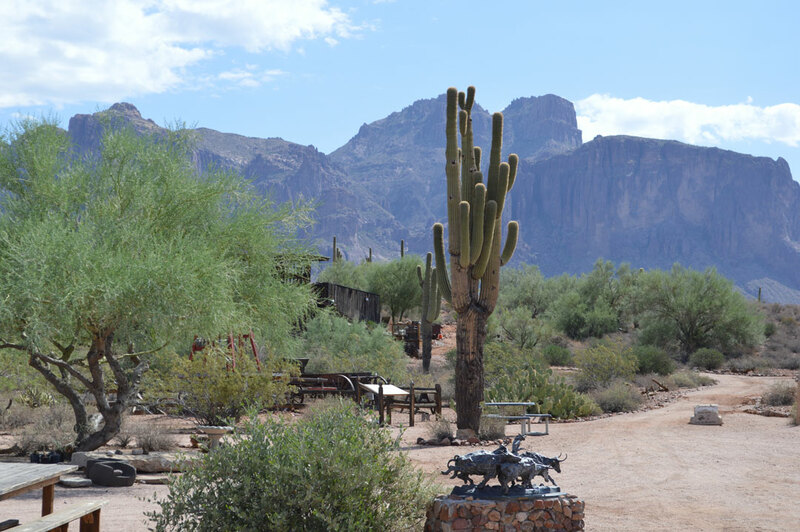 State Highway 88 then veers northeast past the Superstition Mountain Museum (see 'New Superstition Mountain Museum Exhibit Chronicles ‘The Gold Seekers’) to Goldfield Ghost Town. 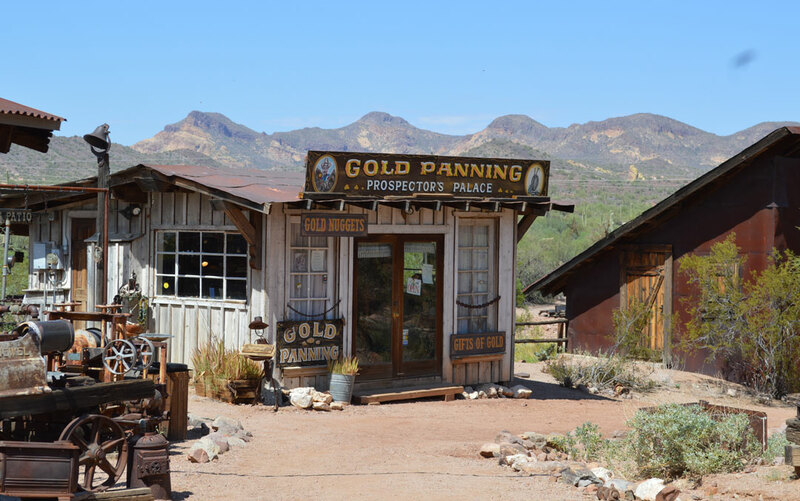 Goldfield offers a representation of the Arizona Territory in 1893, featuring plenty of activities including curio shops, restaurants, gold panning, gunfights, mine tours, a zipline and desert jeep tours. out and the town slowly died, eventually re-establishing itself as Youngsberg until 1926. 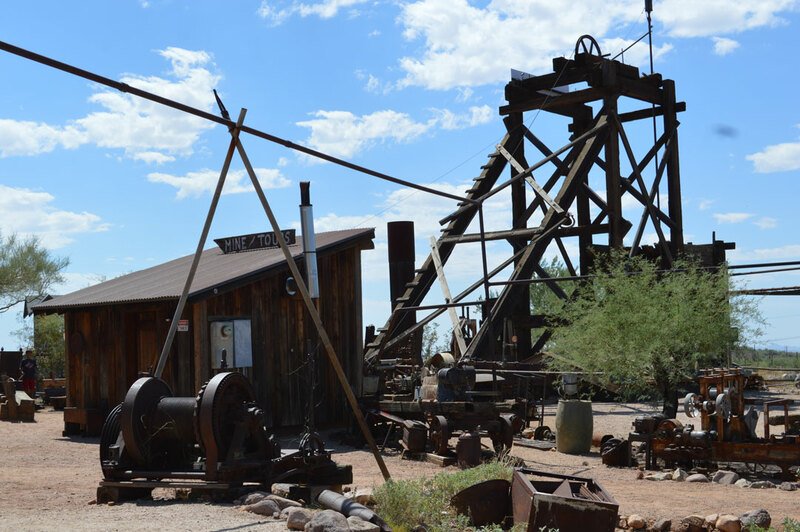 For the next six decades the desert took over, but in 1984, Robert F. “Bob” Schoose, a longtime ghost town, mining and treasure-hunting enthusiast, began to rebuild the old town, which opened for business in 1988. Traffic in Goldfield ramps up in November, but really takes off around Thanksgiving, continuing through March, right around the time of Spring Break for the local colleges. For information, go to goldfieldghosttown.com. For information on desert jeep tours, go to www.apachetrailtours.com. After Goldfield, it is about 13 miles to Tortilla Flat. Along the way, Dolly Steamboat offers sightseeing and dinner steamboat cruises on Canyon Lake. For information, go to dollysteamboat.com. 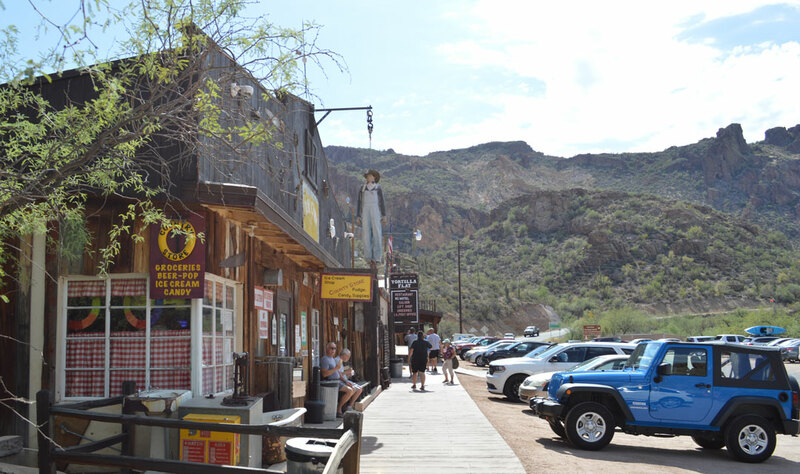 Tortilla Flat is the last surviving stage coach stop on the Apache Trail. Incorporated in 1904, Tortilla Flat was moved in 1942 from its original location to the west side of the road where it now sits. Torrential floods the previous year wiped out the settlement. Town Manager Matt Van Slyke — nephew of former baseball player Andy Van Slyke —manages the Superstition Restaurant and Saloon. 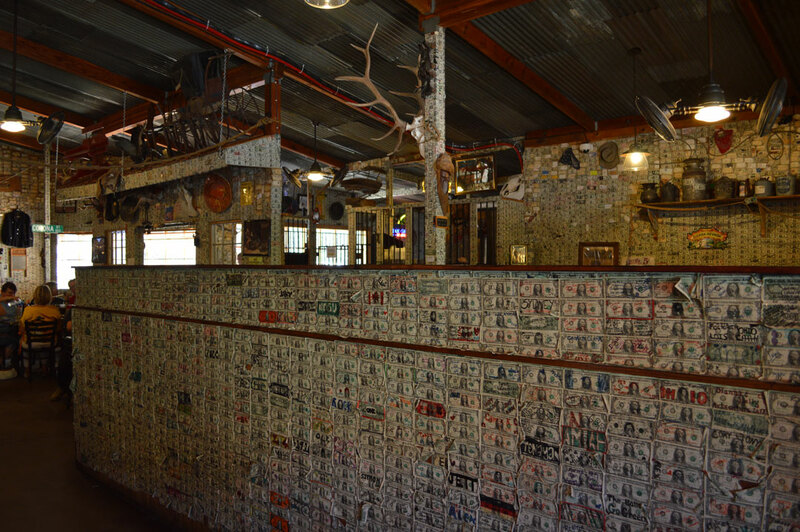 The restaurant’s walls are covered with dollar bills — at least $350,000 worth — a tradition carried over from the region’s rich history of mining and cattle ranching. Now, the dollars come from visitors coming from all over the world to visit the desert. From Tortilla Flat, the Trail, which acted as a service road for supplies for the construction of Roosevelt Dam, is 28 miles to the town of Roosevelt.